The electric vehicle (EV) market is booming. It’s critical that utilities proactively prepare for the added load needed to power these vehicles. We can help poise utilities to be seen as trusted advisors to residential and commercial customers as they dive into this new market. Residential utility customers will have many questions as they move to adopt electric vehicles. We can help guide them with information on which EV they should buy, what charging options are available and how EVs will affect their utility bills. 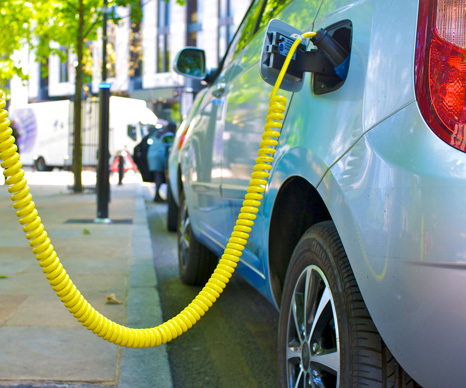 Commercial utility customers, especially those operating a fleet of light duty delivery vehicles and cars, will also be looking for answers on how to properly integrate EVs into their businesses. Whether they are attempting to decrease CO2 emissions, pursuing corporate sustainability goals or looking to lower operating costs, these commercial customers will be searching for guidance as they engage in new, alternative transportation options. Our team has a broad range of experience and capabilities when it comes to structuring market transformation and incentive programs, and we can build programs tailored to the needs of both residential and commercial utility customers. We can answer your customers’ myriad questions, positioning utilities as thought leaders in this new and exciting space. We can also use our experience to build partnerships with automakers, auto dealers and charging station manufacturers to help you manage the load growth that will come with increased EV adoption. The future will be here soon, and we at CLEAResult can help you and your customers prepare for it. "Utilities benefit from the predicted increase in EV sales." Learn how from CLEAResult's Thor Hinckley, in an Electric Light & Power article covering shopping for EVs, Ride-and-Drive events, partnering for incentives and variable rates.